Day 3 in Fairbanks dawned with great anticipation. 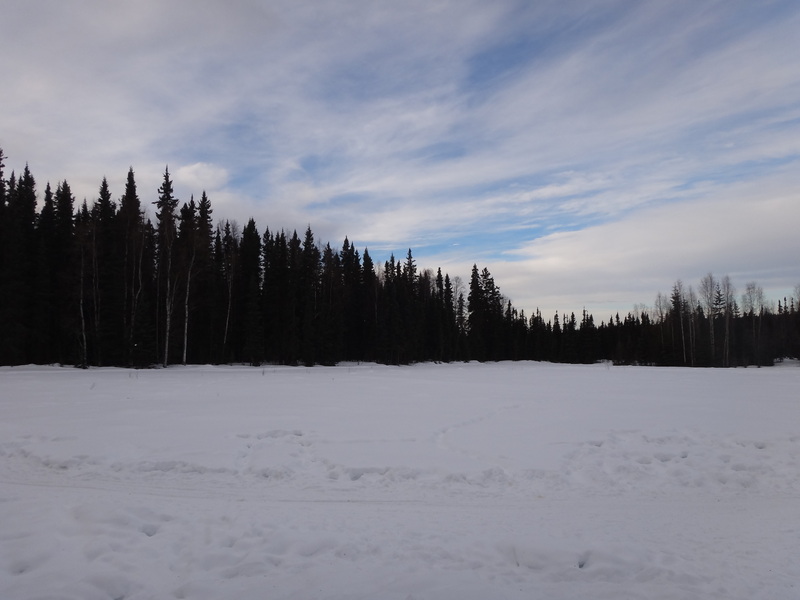 The ONE thing everyone seemed the most excited about was on the day’s agenda….dog mushing. Between our excitement and our jet-lagged, time zoned-zombie loss of time telling, we wound up at Just Short of Magic a full 45 minutes early. Turned out to be a-okay, because it gave the boys lots of time to bond with the dogs. 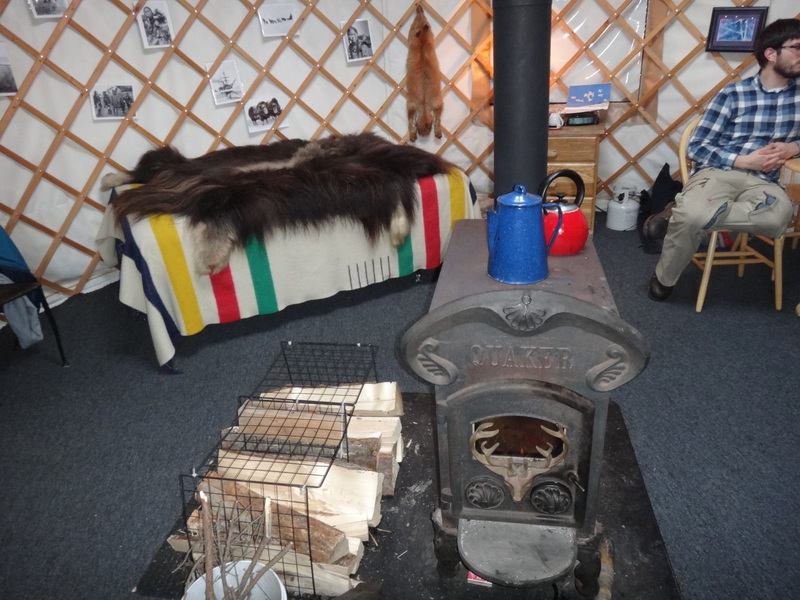 While the boys were off, exploring the cold and connecting with the sled dogs, Judy and I were ensconced in Eleanor’s yurt. Warm and cozy with a fire and hot chocolate, we explored the hearty selection of coats, boots and hats. When it was time to suit up and roll out, they made sure we were all properly clothed…no mean feat considering we were Floridians in Alaska. Before too long, it was my turn. Jon and the boys raced back and quite suddenly, Judy and I were up. 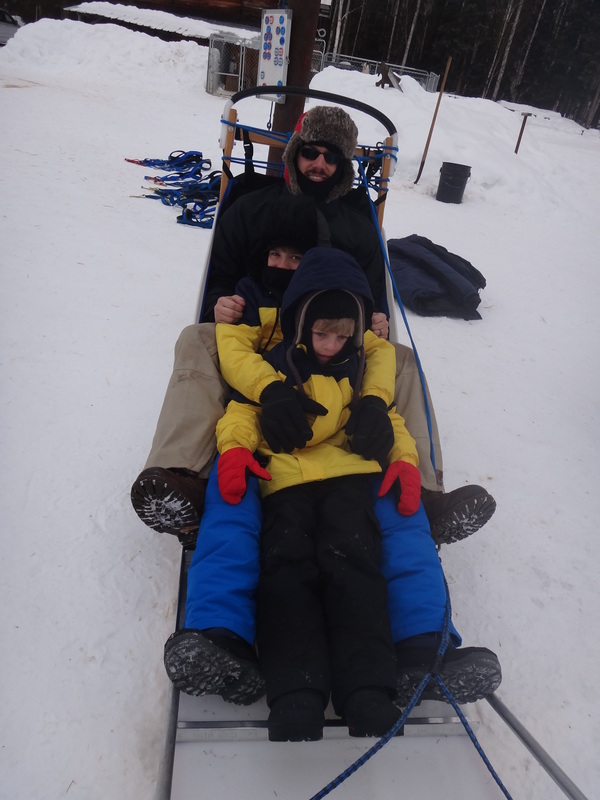 We piled on to the sled and, yip yip! we were off. 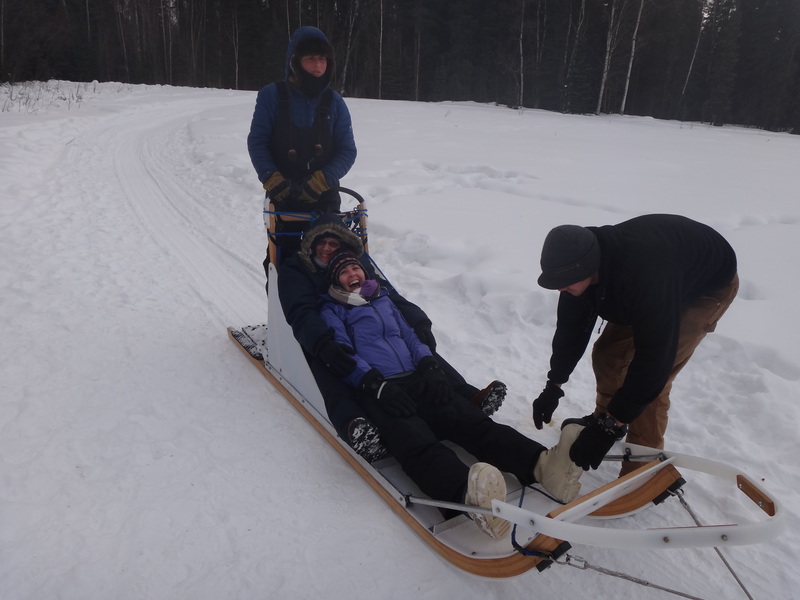 I”m not going to lie, sitting in the sled is a bit bumpy and not the best. But, when we stopped and I got the chance to drive….oh what exhilaration ensued! And yes. I almost fell off. But it just wouldn’t be real excitement without a fall or near fall on my part. It’s my thing, falling that is! At any rate, here’s the compilation video of the boys riding, and then driving the sled. The dogs are howling in anticipation….they just want to run! At the end of the day, Garrett wanted nothing more than to come home with Blue, one of Eleanor’s incredibly loving sled dogs. It’s a moment where I wish I could have said yes, but it wasn’t very hard to say no. Blue wasn’t made for house life in Florida, he was made to run in the snowy banks of Alaska. At any rate, here we are having a total ball! Jon and the boys all ready to go sledding! It just doesn’t get more fun than this…. Why is there no row 33 on this flight? Alaska! Ready or not, here we come!